In 2010 whilst I was managing an art gallery I was introduced to the artwork of Mr Nick Batchelor. 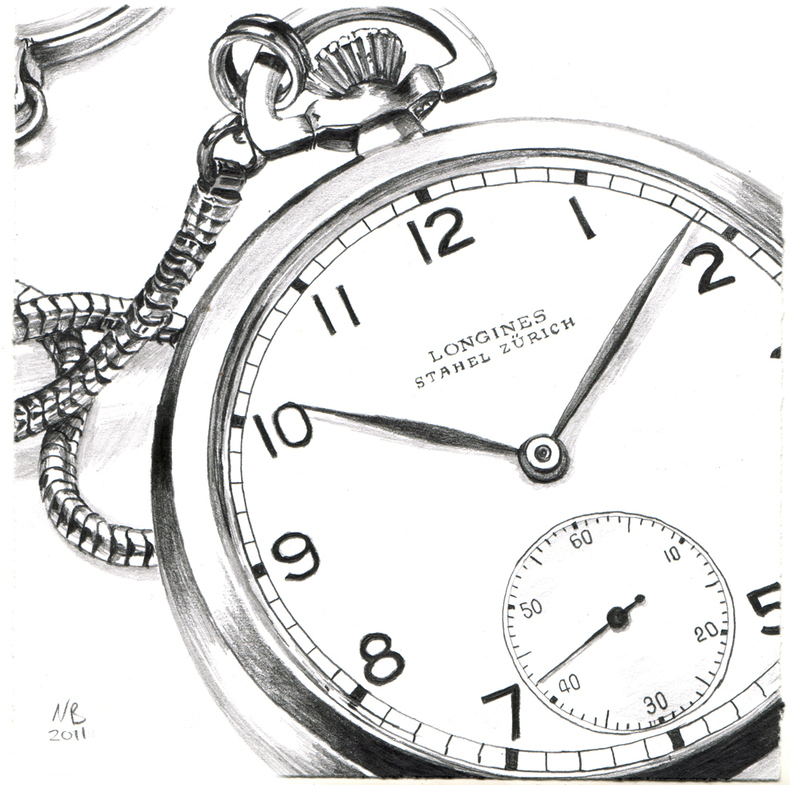 Over the next few years I have followed his works, completely falling in love with his beautifully drawn watches. 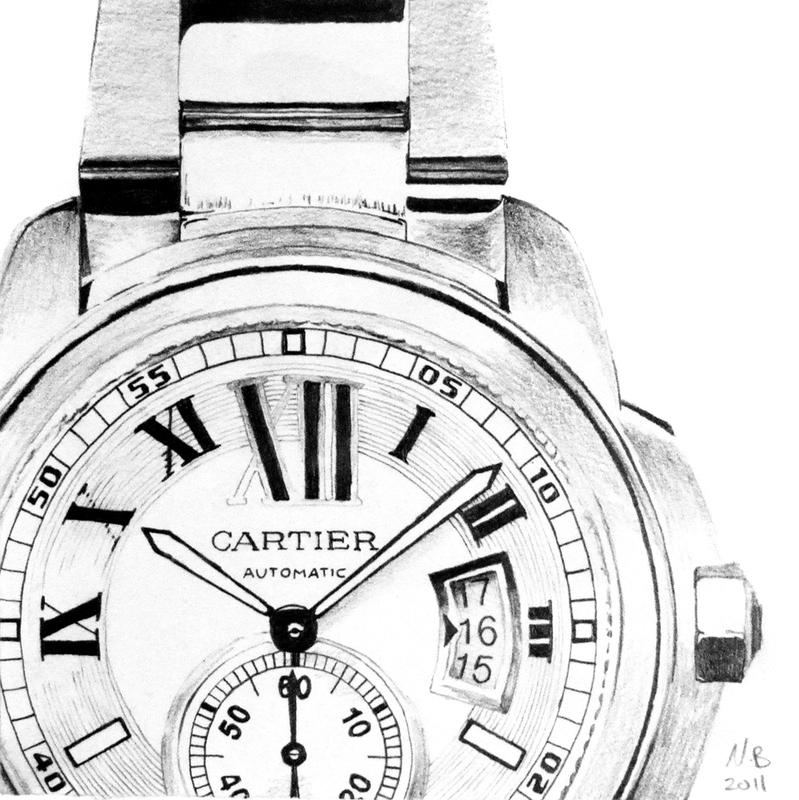 Each watch is drawn with precision, capturing the essence and detail of the timepiece. I recently caught up with Nick to talk to him about his artworks and his latest commission for the famed Jerry Lewis. 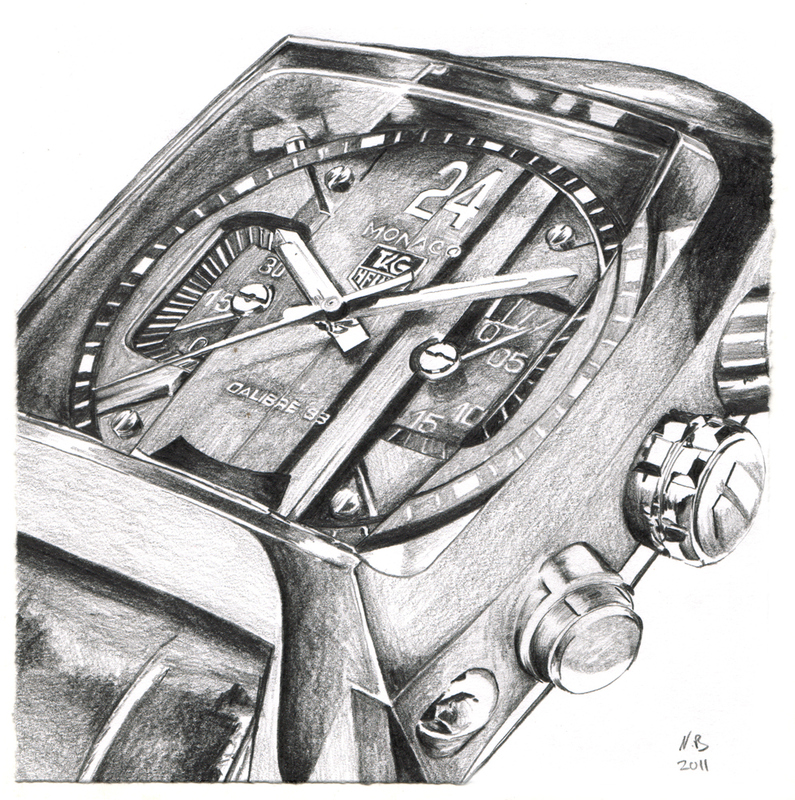 I asked Nick what inspired him to start drawing watches. 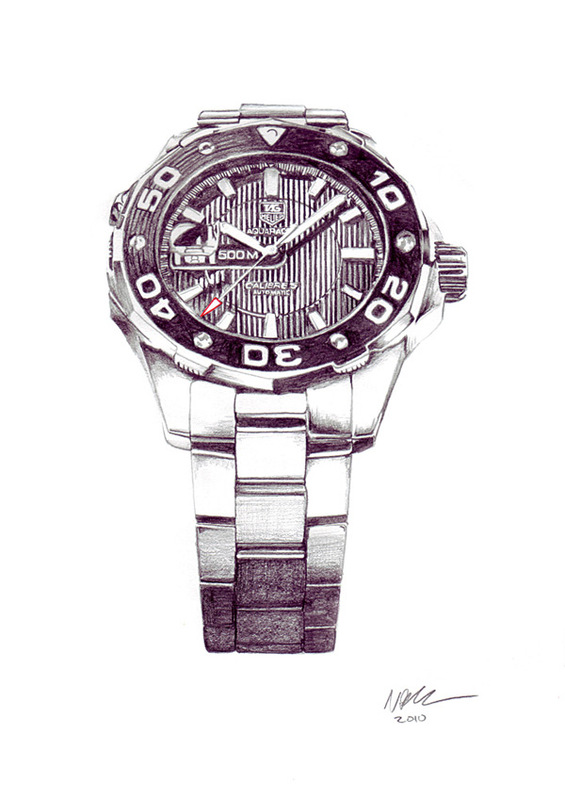 “A man’s watch is undoubtedly the mainstay in men’s fashion accessories. It’s a highly sophisticated and intricate piece of technology that is often overlooked, except for the wearer. 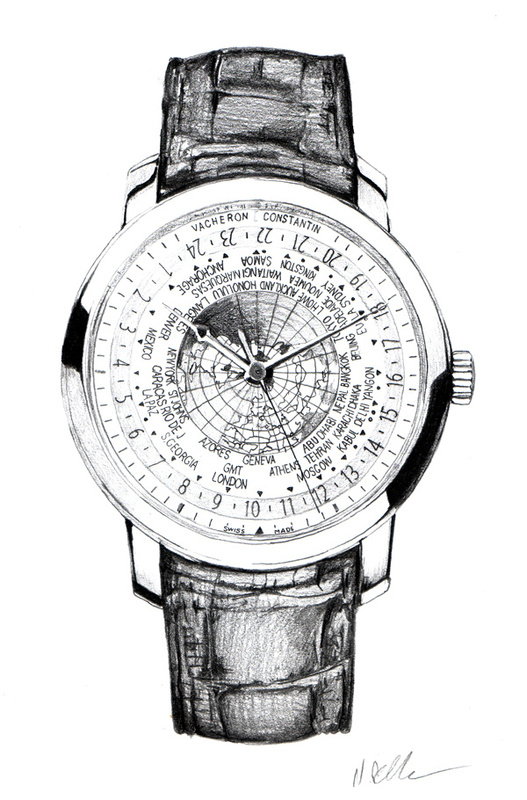 Form follows function but both are critical to its appeal as both a fashion item and as one of the most intricate and accurate pieces of technology.” His favourite watch he has drawn is the ultimate in excess and luxury – the Vacheron Constantin World Time Watch. Jerry Lewis is the latest to own a Nick Batchelor original commissioned piece. The subject of the artwork, a Bueche Girod, ended up being one of Jerry’s prized items. “It is quite a traditional style being small and slender with a black leather band with a gold housing and clasp. However it is very unique in the fact that it has a double face. I’ve never seen anything similar,” said Batchelor. The drawing for Jerry Lewis is pencil on paper 420mm x 297mm and truly beautiful. A favourite of Nick’s is the WeWOOD Date Black made from Tasmanian Blackwood. A beautiful 100% natural wood watch with a 42mm face that is simple yet striking you can see why he would be drawn to this timepiece. Nick has come a long way since completing a Bachelor of Visual Arts at Queensland College of Art in Australia in 2003. Graduating with Honours he went on to start clothing label Art Policia with a few friends from University. Moving on from this he studied graphic/digital design at CATC, working with design agencies in Australia and with a publishing house in London for a few years. On return to Australia he was a founder of Frosting Magazine, a fashion magazine based solely on Australian and International jewelry and watch design. A perfect fit for an admirer of watches. Now based on the Gold Coast Australia, Batchelor runs a digital design studio Italics Bold, specializing in helping businesses thrive on the web. Nick’s inspiration is in the form of “Art that asks questions and Design that solves problems.” Taking inspiration from mechanical process through human invention and the artistic slant, he has a cross-disciplinary approach gathering inspiration from all his surrounds. Technology, fashion, architecture, furniture design, digital media, product design, science, travel and music all keep his inspiration flowing. I threw a few other questions at Nick just for fun. TMHS: What is the one item of clothing you can’t do without? NB: A pair of black straight leg jeans. TMHS: Three things you use most in your day? NB: My iMac, a recently purchased Stateline Ergoform chair and a Retro 1951 Hex-O-Matic pacer. 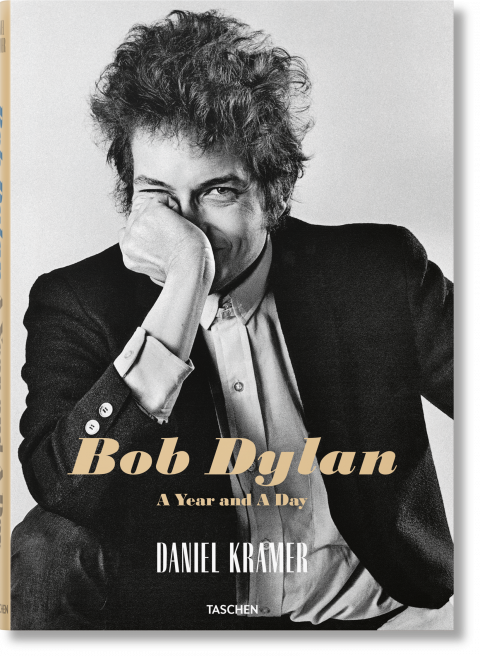 TMHS: Do you listen to music while you are drawing? NB: “Insanity: doing the same thing over and over again and expecting a different result” – Albert Einstein. 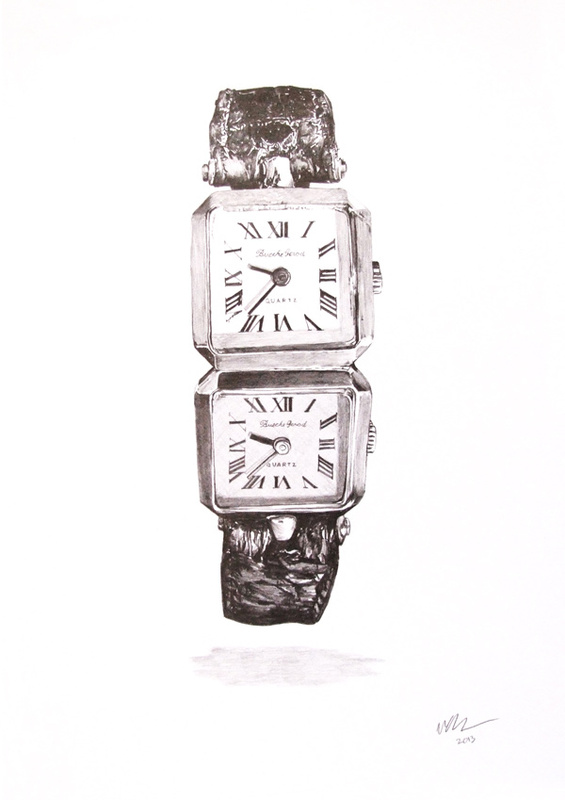 See more of Nick Batchelor’s artwork via links below or by clicking on any of the images.